Red Wine, Green Tea and Dark Chocolate: An Apple a Day May Keep Heart Disease Away! 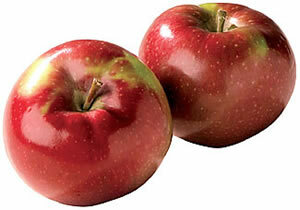 An Apple a Day May Keep Heart Disease Away! Amazing news was presented this week at the Experimental Biology Meeting in Washington D.C. Older women who consumed apples everyday were found to have an average of 23% reduced LDL cholesterol levels within six months and a 4% increase in HDL cholesterol. The scientists came away with the impression that apples are a miracle fruit. Its no miracle...pectin and polyphenols, two substances found in apples, enhance lipid metabolism and reduce the production of molecules that cause inflammation. 160 females aged 45-65 years were randomly selected to receive either 75 grams of dried apples daily or dried prunes daily for a whole year. Their blood was examined in a laboratory at months 3, 6 and 12. Incredible changes occurred in the apple-eating women. Not only did their cholesterol levels improve, they also had reduced levels of lipid peroxidation, a marker of oxidative stress, and they had reduced levels of the inflammatory molecule C- Reactive protein. And the icing on the cake? Even though eating the apples added 240 extra calories to their day...the women did not gain weight..they lost an average of 3.3 pounds. Pectin, which makes you feel full..may be a factor in the weight loss. Blueberries can help you burn fat!